. 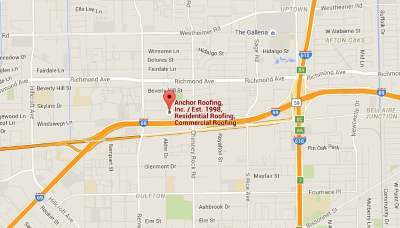 PVC Commercial Roofing Systems | Anchor Roofing, Inc. Choosing the best solution for your commercial roof is quite a difficult task. There are many options to choose from whether you’re considering a new style or a new type of the roof. 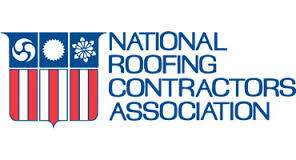 Thanks to the growing roofing industry, every day new technologies are being added improve every single aspect of work. When it comes to the commercial roofing systems, there are many types you can choose from, ranging from the ever popular synthetic rubber up to the metal roofing system. Each type has its own set of benefits, made particularly to deal with certain kinds of problems in certain climates. Synthetic rubber roofing systems can be made from either TPO or PVC. 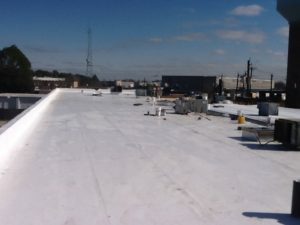 PVC or polyvinyl chloride is a popular type of material used in commercial roofing systems today. It’s actually a type of thermoplastic material created by the process of polymerization. The end-product is later on molded into sheets which are to be used for the sole purpose of covering your commercial building. Polyvinyl chloride has been on the market for several decades now, and has been proven to be the top choice among commercial building owners across the US, meaning our clients have recognized the ultimate value lying in PVC roofing systems. 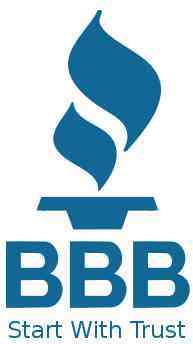 There are many benefits to installing a PVC roofing system. First of all, it utilizes a special technique called hot air welding. Hot air welding is being used primarily to bind the membranes together. 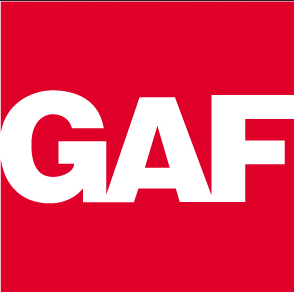 By using this process, you are adding a waterproof feature to your commercial building, meaning one less thing to worry about. Not only water, but actually any type of liquid will be stopped from penetrating into your commercial building, and damaging what lies beneath. One of the innovations in the PVC roofing systems are the UV inhibitors which can be added to your commercial roof. They are added in order to provide a stronger roofing system in general, and to add another layer of protection from those dangerous UV rays. Not only that, PVC roofing systems usually come in bright colors. This is not something to be neglected, mainly because the color of your roof can affect your budget. How? Well, bright colors play a huge part in the energy efficiency of your roof. In hotter climates, they are able to keep the roof cool, which can significantly lower your existing energy costs. While dark colored roofs absorb the sun’s heat, heating the building underneath, the increase in temperature of PVC roofing systems is minimal. The chemical properties of PVC allow it to resist any type of grease, oil or other acidic/abrasive chemical compounds. This makes PVC roofing optimal for facilities such as restaurants, factories and storages. Its resistance to exposure to both hot and cold temperatures is one of the main reasons commercial building owners across the US prefer PVC roofing. A PVC roof is made to last for around 20 years, making it the perfect short term solution for your roof. Actually, with a proper level of maintenance and care, it can live up to 3 whole decades.